Seminars are for Metro Manila only. Your group must provide the venue, LCD projector, sound system, etc. For more information or to schedule a seminar, please contact Atty. Gerry T. Galacio, gtgalacio@yahoo.com or mobile 0927-798-3138. 1. “Legal Writing for Non-Lawyers” for FERN staff; FCC Building, J. Escriva Drive, Pasig City, August 2, 2016; organized by Christopher Cardino (Treasury and Budget Manager). 2. “Clear and concise English for effective legal writing” seminar for editors and document analysts of Baker & Mckenzie Global Services Manila, July 1, 2015, Bonifacio Global City. 3. 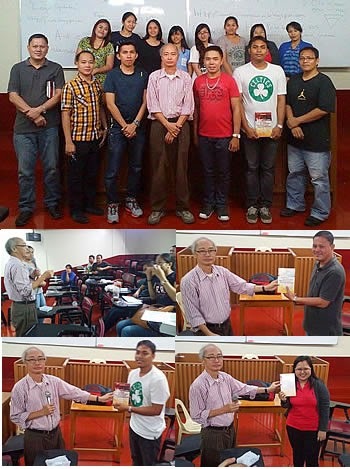 Manila Law College (PCCr) seminar on “Clear and concise English for effective legal writing” April 11, 2015. The seminar was coordinated by Ms. Ara Gloria and was attended by around 20 bar candidates. The candidates also held a raffle among themselves of the “Barblues” book. 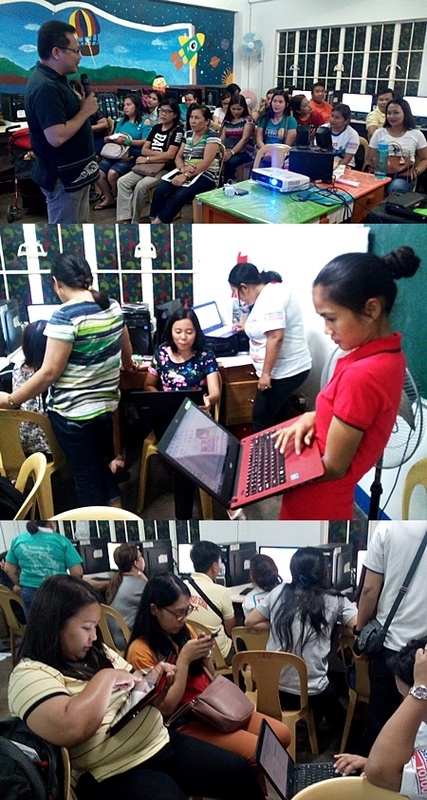 1st picture - Mr. Christopher Santos, principal, addresses the participants; 2nd and 3rd pictures - participants work on the 290-plus interactive exercises that have been downloaded to their laptops, tablets, or smartphones. 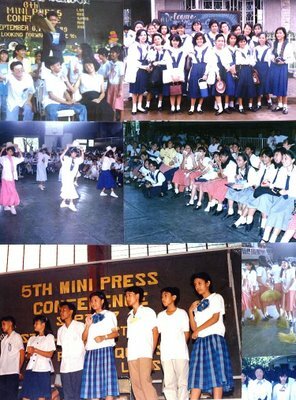 I also organized the Mini Press Conference, Rizal High School, Pasig City, from 1984 to 1991. 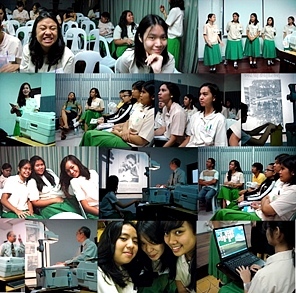 The Mini Press Con was an annual conference of some 400 journalism students from Rizal High School, Quezon City Science High School, Colegio Del Buenconsejo, Pasig Catholic College, La Immaculada Concepcion School, and other public and private high schools.